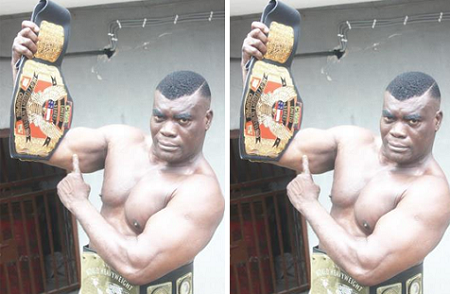 A renown wrestler, John Eke Uti a.k.a. Power Uti, was today hauled up before an Ebute Meta Magistrates’ Court, Lagos, for allegedly killing his wife, Toyin. Uti, 55, was arraigned before Magistrate Bola Folarin-Williams on a two-count charge of murder and disrespect of corpse. She directed that the case file should be duplicated and a copy forwarded to the State Director of Public Prosecutions (DPPs) for legal advice. Earlier, Sgt. Jimah Iseghede, the prosecutor, had told the court that the accused committed the offences on Oct. 10 about 10.25 p.m. at No. 17, Oremeji St., Ilupeju, Lagos. The case was adjourned to Nov. 15.